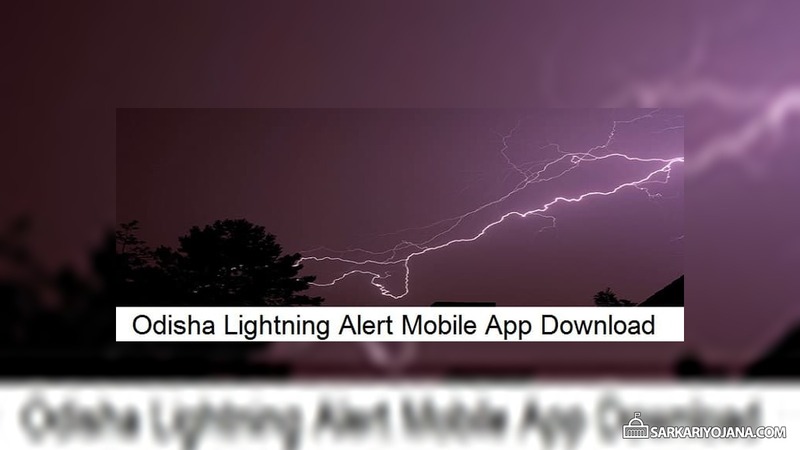 Odisha Government is going to launch a new Lightning Alert mobile application by the month of March of FY 2019. This mobile app will send alerts on thunderstorm, lightning and other calamities to all smartphone users. This state govt. move comes in the wake of increasing number of deaths due to lightening deaths. People can download this lightning alert mobile app to get all information on lightning incidents. The state govt. of Odisha is working in collaboration with the US based firm Earth Networks to launch the mobile application. This mobile app is going to be developed within 2 months and will help people to know the exact time and place of lightning strike. This information can be used to reduce the related deaths in the state. Till date, a total number of 4,689 deaths have been reported due to natural calamities between 2015-16 and 2017-18, out of which around 1,256 deaths occurred due to lightning. In the last FY 2017-18, around 460 people died due to lighting which is 15% more than deaths in 2016-17. A highest number of 130 deaths have been reported in the Mayurbhanj district followed by 95 deaths in Balasore and 89 deaths each in Ganjam and Keonjar districts. So, the state govt. of Odisha has decided to launch Lightning Alert Mobile App to provide latest information regarding lightning incidents in the state. SRC said that the Odisha govt. is working in collaboration with the Earth Networks and has already installed the lightning detection and early warning systems in coastal districts of the state. This mobile app is going to disseminate information to people on lightning as well as cyclonic disasters. This mobile app system will provide prediction about lightning around 45 minutes in advance. Moreover, this app can also predict hail winds, storms and thunderstorms in advance. The state govt. has already signed a pact with BSNL to send SMS alert to people on lightning. In addition, the state govt. of Odisha is also making efforts to collaborate with other telecom partners for the same purpose. Odisha State Disaster Management Authority (OSDMA) in collaboration with Center for Environment and Climate at SOA University is going to organize a 3 day International conference on “Thunderstorms and Lightning in Tropics”. This conference would be organized in the varsity campus from 17 January 2019 to 19 January 2019. This International conference at SOA will be attended by more than 300 experts which would includes scientists and researchers from US, Malaysia, Sri Lanka and Thailand. The Indian Meteorological Society (IMS), Bhubaneswar Chapter, Indian Institute of Tropical Meteorology (IITM) Pune, Earth Networks and RIMES, Bangkok would also be one of the partners of OSDMA and SOA for the conference.